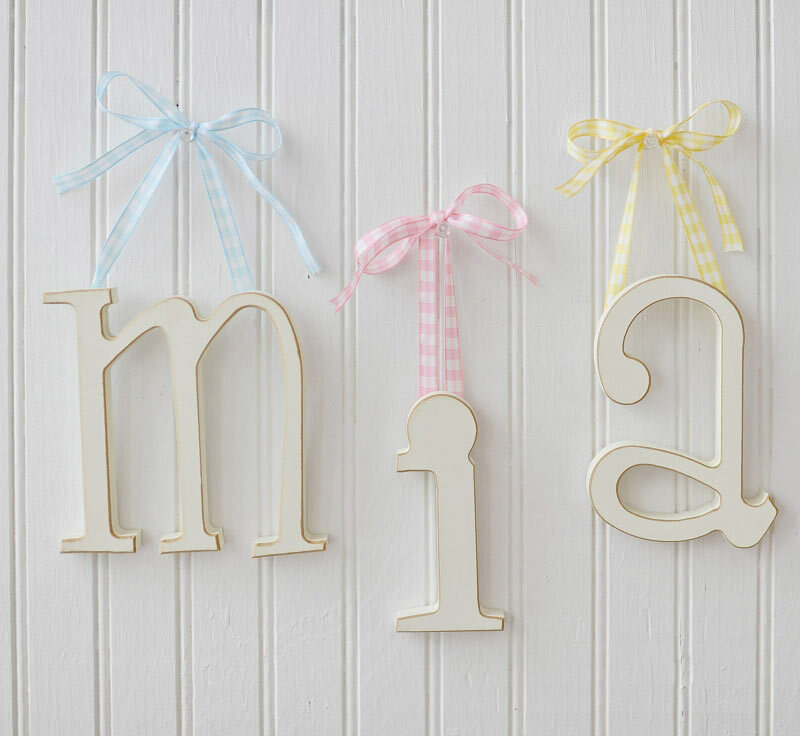 Spell out a name or a favorite phrase with our small white wooden letters for your kid's room, playroom or baby's nursery! Hand painted white and slightly distressed, the smaller version of our large popular wooden letters are approximately 5" tall. Our small wooden letters hang with either gingham ribbons (pink, blue, or yellow) or stitched ribbons (chocolate with white stitching and pink or blue with chocolate stitching. 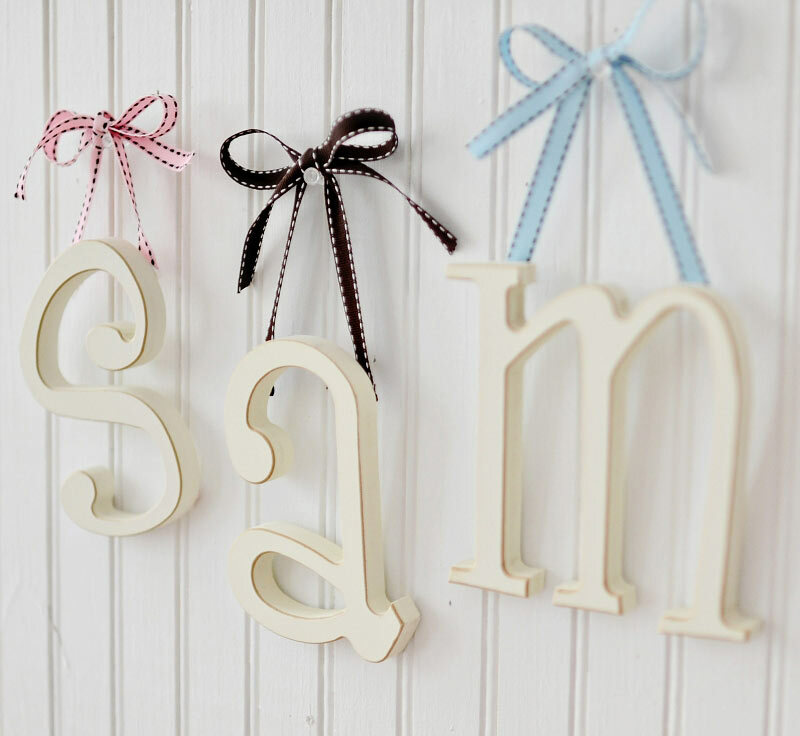 Our decorative small wooden letters are the perfect addition to your child's space! 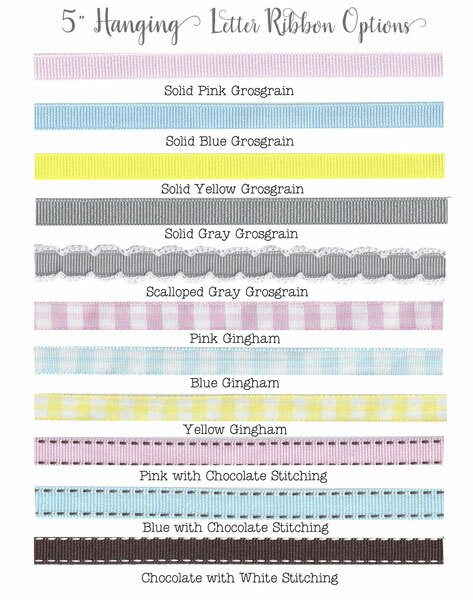 See ribbon options below. These are perfect! They are a beautiful cream color with light brown rubbed edges. They look beautiful hanging in my daughter's nursery. The small size is perfect - not too large, but definitely not small at all. Would definitely recommend to anyone! Purchased letters for a baby nursery and so happy with them. Plan on getting more with polka-dots because they are so cute. Would recommend them for any baby or children's room! We purchased the small letters for our newest arrival in November. We're having a little girl and thought this would be the perfect accent for her nursery. We were right and they were the perfect size. We can't wait to hang them up and put them on display.